Recipients can be added near the bottom of the reports form under Email recipients. Simply type the email address and hit enter. Upon saving the report, the new recipient is added as a user with recipient role (i.e. he can't access the app). 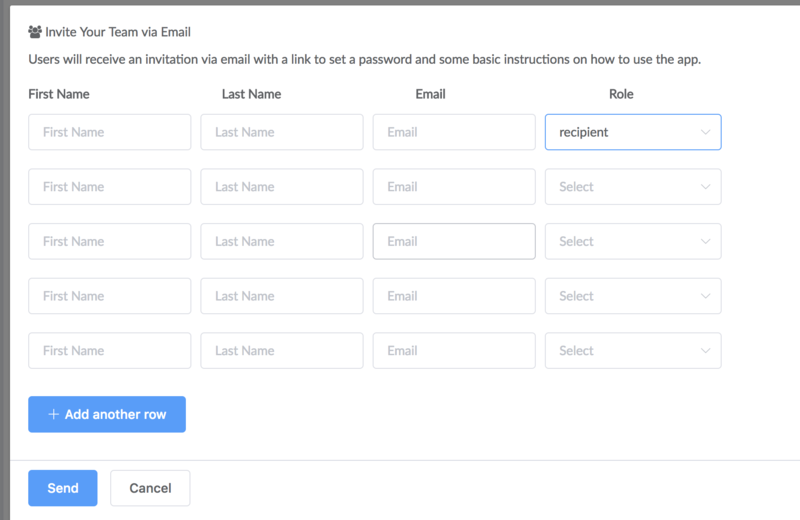 If you'd like your recipients to have access to PushMetrics contents, you can assign them the appropriate user role. Check out Managing User Roles and Access Permissions.